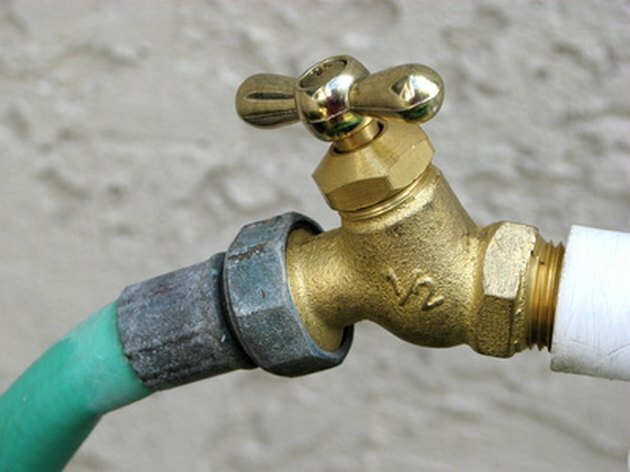 Hose bibs are threaded faucets typically found on the outside of a home. They have a shutoff valve that allows you easy access to water. While hose bibs are commonly connected to copper, PEX or galvanized piping, you may run into an instance where you need to connect them to PVC pipe. 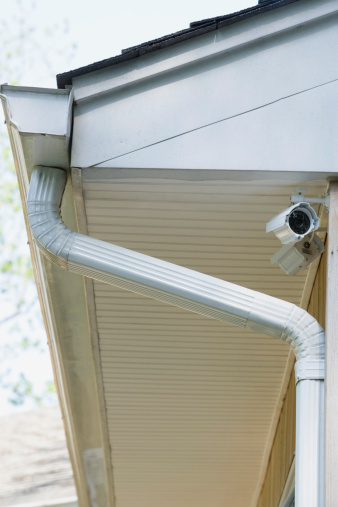 Making the connection to PVC pipe is simple and doesn't involve any pipe threading like galvanized pipe or soldering like copper pipe. Attach a hose bib to PVC pipe with a few simple steps. Apply pipe thread tape to the male threads of your hose bib. Wrap the tape around the threads clockwise until you have two to three layers of tape around the threads. Screw a PVC female adapter to the hose bib. The diameter of the PVC female adapter should match the diameter of the PVC pipe you are connecting to. Slide your hose bib into position. Measure the distance between the PVC pipe and the female adapter, using a tape measure. Add 1 1/2 inch to this measurement. This allows 3/4 inch per side for connecting the pipe into place. Cut a length of PVC pipe at the above measurement with your hacksaw. Clean both ends of the pipe with PVC cleaner. Clean the interior of the female adapter with PVC cleaner. Brush PVC cement on to one end of the pipe and to the inside of the female adapter. Push the pipe into the adapter while twisting it slightly. Hold in place for 30 seconds to allow the cement to set. Clean the interior of the PVC fitting that you will connect the other end of the pipe to with PVC cleaner and clean the other end of the pipe you connected to the hose bib. Apply PVC cement to the end of the pipe and to the inside of the fitting. Slide the PVC pipe into the fitting while twisting slightly. Rotate the hose bib to its desired position and hold in place for 30 seconds to allow the cement to set.